Our hearts and prayers go out to the families, friends and the community of the Sandy Hook Elementary School in Newtown, Connecticut. Words seem inadequate to express the sadness we feel over the tragic loss of so many young innocent lives. Our sympathies, love and support we send out to all families and friends of those have been taken from this world too soon. We pray that the GreatSpirits welcome them with love and compassion. And that each and everyone touched by this devastating tragedy is illuminated and comforted in Divine Light. May you find the strength to endure and live on to hold their memories in your hearts. 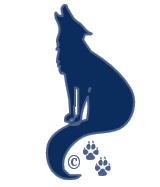 Springwolf holds a Doctorate in Divinity and a Doctorate in Philosophy in Spiritual Counseling. She counsels families and women of abuse. Don’t know what to get your friends or loved ones? How about a Gift Certificate from Spring’s Haven. Giving the gift of insight or healing is perfect for any occasion. An ideal solution when searching for an imaginative present. And guaranteed to deliver an unforgettable experience. You’ll find certificates for physic readings, Reiki healing sessions and more. Let the past go. You’ve done all you can and it’s time to move forward. It is what it is for a reason. You may not see it now, but it will become clear in 7 cycles. If you continue to fight for the past, you will prolong the sorrow. Change isn’t easy, but at this time; it is necessary. Haven’t you struggled enough? You’ve been fighting the changes around you and trying to hold onto the old patterns for long enough. The Divine Universe has tried to show you the way to the path you should be taking, but you keep looking behind you. What has been is gone. Put it to rest and let it go. You’ve mourned, you’ve become angry and you’ve struggled. Now turn all that energy toward what lies ahead and welcome the changes. Spread your wings and take the journey with excitement and joyful anticipation. You’ll be glad you did. And you’ll find yourself in a much happier and better place. Allow all efforts you’ve made to change, to work its magik and manifest from Divine Creation. Let the wands wave and the inspiration of your spirit take you in the needed direction! You may just find, it’s not only where you need to go, but where you want to be as well.